Northern New Mexico College recognizes and incorporates the place-based uniqueness of northern New Mexico into academics and campus life. Northern's communities of service are deeply tied to the region, a fact that influences both the educational choices of our students and the ways in which we serve them. We primarily serve rural communities within a 40 mile radius of our main campus in Española, New Mexico, including eight Native American communities, within one of the most underserved regions in the state. MISSION: The mission of Northern New Mexico College is to ensure student success by providing access to affordable, community-based learning opportunities that meet the educational, cultural, and economic needs of the region. VISION: Northern New Mexico College is a Hispanic- and Native American-serving comprehensive institution that will be recognized nationally for cultural sustainability, quality student learning and developing economically strong communities among diverse populations. Northern New Mexico College is accredited by the Higher Learning Commission (hlcommission.org, 800.621.7440). Northern gained candidacy status in 1975, and full accreditation status in 1982. In 2001, we joined the HLC’s Academic Quality Improvement Program. In addition to regional accreditation, Northern’s educational offerings are accredited or approved by other agencies. The Bachelor of Engineering in Information Engineering Technology Program is accredited by the Engineering Technology Accreditation Commission (ETAC) of ABET (www.abet.org, 410.347.7700). Accreditation is proof that the quality of an academic program meets the standards of the profession. The baccalaureate degree in nursing at Northern New Mexico College is accredited by the Commission on Collegiate Nursing Education, One Dupont Circle NW, Suite 530, Washington, DC 20036, (202) 887-6791. 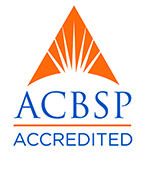 The College of Business Administration’s bachelor’s and associate degree programs are accredited by the Accreditation Council for Business Schools and Programs (ACBSP), (www.acbsp.org, (913) 339-9356). The College’s occupational courses are approved by the New Mexico State Department of Public Education; the Barbering, Cosmetology and Associate Degree Nursing programs are approved by their respective state licensing boards. State approval for benefits under Title 38 USC for veterans and other eligible persons has been granted by the New Mexico Veterans Service Commission. In 2013, Northern converted its Spanish Colonial Furniture Making and Weaving programs from for-credit to continuing education. The impetus for the conversion was a significantly high number of non-degree seeking students. Both programs now offer courses at reduced rates on the Española campus. The College is a member of the National Association of Inter-collegiate AThletics (NAIA) The College receives a total of $260,000 in state appropriations which is supported by $110,000 of I&G funding. The College held its I&G budget flat in FY15, while adding four athletic programs. Beginning Fall 2014, Northern will offer the following sports teams: Basketball (M/W), Golf (M/W), J.V. Basketball (M), Cross Country (M/W) and Dance/Cheer (M/W).